Drif Slyder slalom racing sled is the long overdue evolution of the Gt snow racer and arguably the biggest innovation in sled design and functionality ever! Drif Slyder slalom racing sled is the world’s first, and to date only highly maneuverable, safe downhill sled you can fully control, steer and stop at high speeds using only the sled all while in a comfortable seated position supportive of your entire body no matter how tall you are. Our Slyder is 8kgs shipping weight, (which is less than half the weight of the GT snow racer). Drif Slyder size is 36x32x14 inches, blow molded and come with a 5-foot tow rope, the inverted “V” channel down the middle bottom of the sled is for stability and shoots snow into the air for added effect. 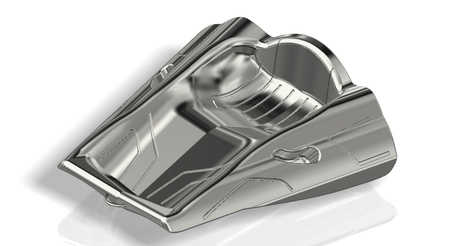 The wings on each side of the sled body are for steering and breaking, the sled comes with indented hand holes on each side and a contoured body seat area that allows for two leg positions for anyone any age or size. There are no fragile breakable components. The sled can stand upright or be hung up in summer. Designed, engineered and built for control, safety, comfort, and speed, with no moving parts and no assembly required. -	Thrill seekers = 50% of a $646 Billion/year industry in USA alone. -	Millennial 7-14 and up to 30 years old. -	4-to-12-year-olds spend more than $40 billion/yr. -	12 to 19/yr. Old spend $155 billion of their own money. -	They also affect over $500 billion in house hold spending. -	Snow based recreation $63 Billion Yr. & ripple effect spending is over $129 Billion. 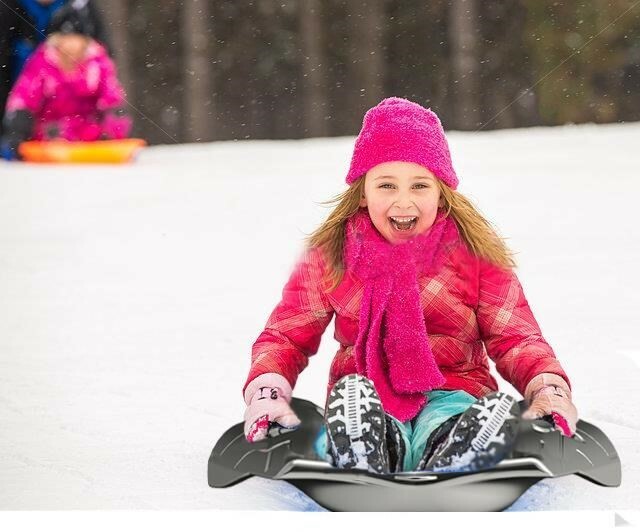 Sled sales are currently over $4.5 Billion /Year. Drif Slyder is similar in concept to skiing, depending on your skill level, the speed you’re travelling, the type of snow you’re in and the degree of a turn you wish to make, this will all dictate your ability to execute better than your competitor. The sled does not require training but requires practice to get good, (just like skate boarding, skiing or snowboards) putting us into a new category for sleds, and our acceptance into the sports & x games arenas. -	Drif Slyder has the “WOW” factor. -	One of a kind design. -	Only one with this level of control. -	It may become a new sport, break records, but it will surely disrupt the market. -	Our ability to penetrate other markets. -	Safe, Easy to use, No assembly. SAFETY = Parents top concern, drif slyder gives them piece of mind. CONTROL & LOOKS = What the kids want. WOW FACTOR = is what we all want. drif slyder has it! We have a game plan for the lineup of products related to this one product! There is a fully developed business plan, Business Brief, Pitch Deck, Exec. Summary, financials for several different ask amounts, the site and domain come with the I.P. and the print files.